to our bacon wrapped diver scallops . . .
just to name a few menu items. or just a simple well designed buffet styled luncheon, breakfast, or dinner. we will tantalize your taste buds. who are coming to your special occasion? 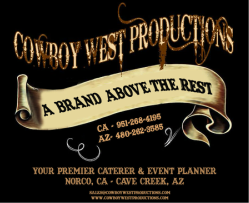 Cowboy West Productions can handle any number you are planning for. Our qualified culinary staff has the imagination and the know how to create a taste sensation that will have you craving for more. We are proud to say we make it all ourselves because in our minds, there is no cooking like our own cooking. Try our themed menus and parties . 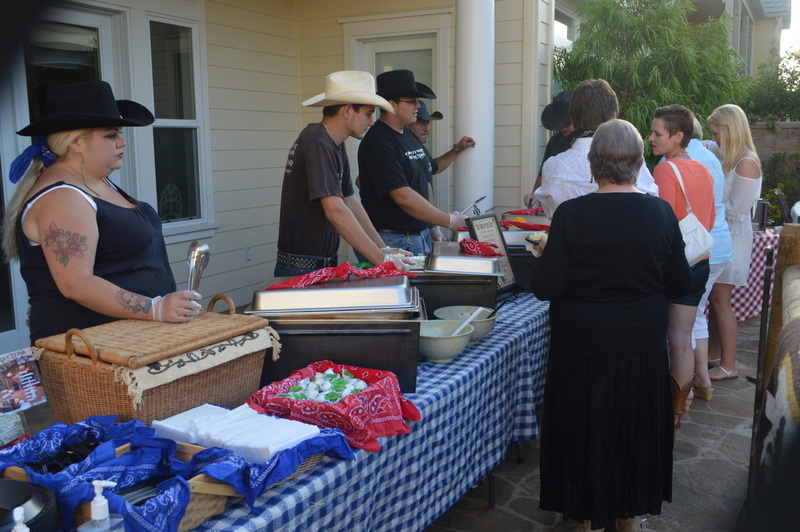 . .
From the Old West to the Far East we will cover the globe for you and get your special menu just right! to give you the party you desire. We guarantee the best always!